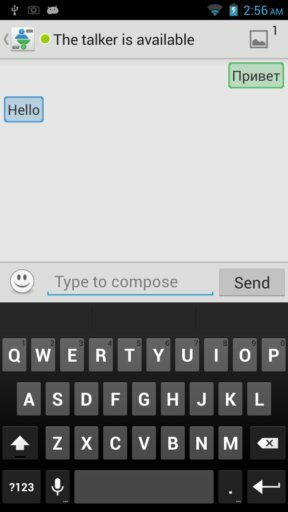 Here’s a list of 5 anonymous chat apps for Android which you can use to chat anonymously with strangers from around the world. Sometimes chatting with strangers allows us to be much more open about the things that’re bothering us or it could just be a fun way how to meet new, interesting and sometimes creepy people. Lots of anonymous chat apps are available in the Play Store. These are the more interesting ones. Anonymous Chat really is an anonymous chat app. There’s no need for registration of any kind, everything’s anonymous. There are no names, the only settings available for you to tweak before entering the chat room is your age and gender and the age and gender of potential partners. I suggest that you don’t set you age and gender because then you won’t find anyone. I found a partner as soon as I entered the chat room. You can send 1 image for free. To send additional ones you need to pay. 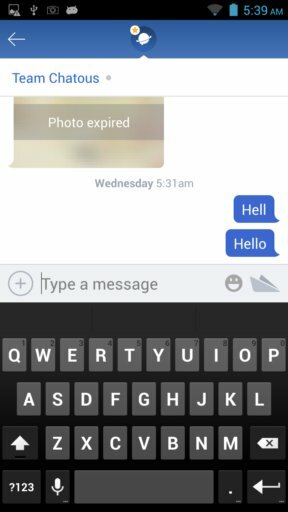 rumr: anonymous messenger is a bit of an unusual anonymous chat app. It’s unusual because it requires a registration, and not just that, it also has Facebook, Google+ and Twitter sign-in. Don’t worry, even though you register an account with your existing profiles, at the last step of registration you’re asked for username and password that’s to be used with rumr. You can create your own chat rooms, or join chat rooms that others created. This classifies rumr as a anonymous group chat app, not just a anonymous chat app. Don’t forget to also checkout 5 Free Anonymous Chat Websites. Chatous also requires us to register an account and setup a profile, but you don’t have to create an account with real information. Once you’re registered, you’ll either be able to find chat rooms that interest you (using tags, hashtags) or create a chat room of your own and wait for other people to join you. Images can be shared and not just that, video and audio messages are shareable. For extra anonymity and security, you can change your account username at any time. Get Chatous – Random Chat. 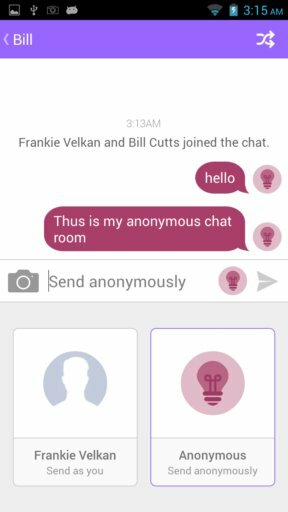 Melon Chat Anonymously Free is just like the Anonymous Chat from the top of the list. No registrations, no setup, you can start chatting with strangers right away after you run the app. You’ll be connected with random users from around the world. Several dozens of them are added to your chat list at a time. There’s a shuffle button to fetch new contacts if you don’t like the ones you have now. You can setup a profile if you want to create contact lists. Get Melon Chat Anonymously Free. Don’t forget to also checkout 5 Free Websites To Send Anonymous Emails. ChatNOW (Random Chat) also doesn’t require registration, you will only need to select your gender and age before being able to chat with other people. Images can be sent to the other person, existing ones from the gallery or you can create new ones with the camera and then share them. When a partner disconnects, you’re automatically connected to the next one. I liked Melon Chat the most because it’s easiest to setup and it had the largest selection of people with whom I could chat. Chatous is also not that bad, it just has more setup. Try them all and let me know how it went in comments down below.